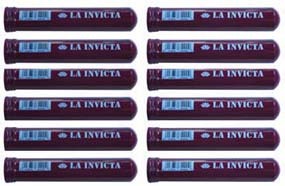 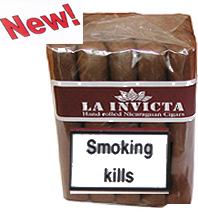 Buy Nicaraguan La Invicta Cigars Online Cigar Connoisseur UK. 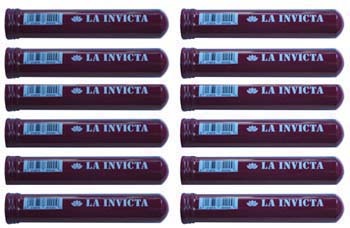 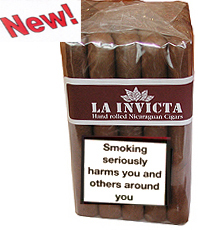 Introducing the new improved La Invicta Nicaraguan handmade cigars (see Honduran section for la Invicta Honduran cigars) Each cigar is now wrapped in cellophane and dressed with a smart La Invicta band. 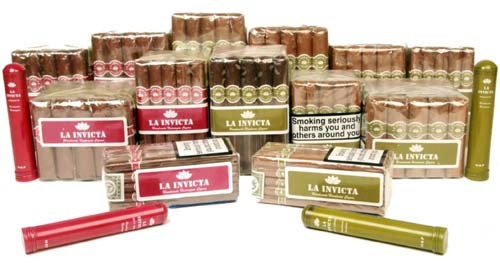 All sizes are available in bundles of 25 but the Robusto and Petei Corona are also available in cedar lined tubes in packs of10.